There have been plenty of memorable canine companions in video games, like D-Dog from Hideo Kojima’s Metal Gear Solid V and that Chop dog in GTA V (which featured in more than one hilarious situation in Rockstar’s game), and of course Dogmeat from Bethesda’s Fallout games. And it is clear that Dogmeat was one of the most trusty companions players could take on their adventures in Bethesda’s recent Fallout 4 game, which no doubt was one of the top releases of 2015. 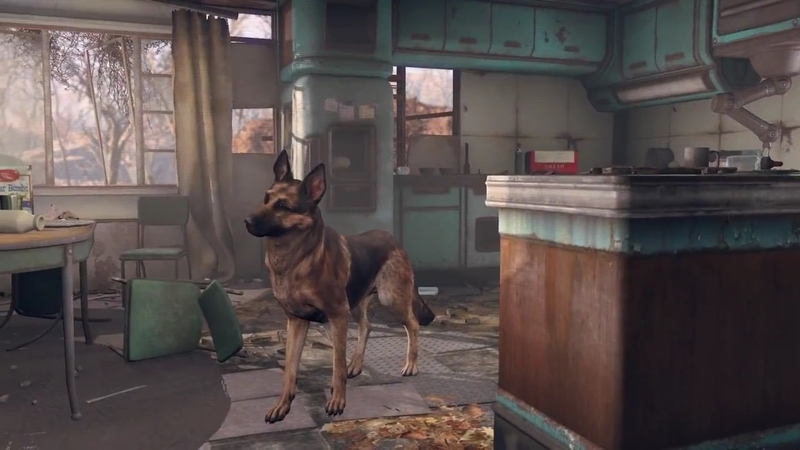 The German Shepherd would not only assist players in taking down enemies like the super mutants that roamed the Boston Commonwealth, but Dogmeat could also carry any weapons and junk the player saw fit to collect. Even more curious than the fact that awards are given to video game canine companions like Dogmeat (which is not a bad thing in itself) though, was the trophy given to the winner, a golden fire hydrant no less, which Dogmeat’s real-life inspiration Silver is seen posing with in Bethesda’s Tweet above. Although those wanting to hang out with their trusty Dogmeat in Fallout 4 still have Bethesda’s announced DLC packs to look forward to, the first of which is titled Automatron, and will be released on March 22.